Dr. Hirschfeld’s research has significantly contributed to understanding the classifications of depression and bipolar disorders; their clinical course, relationship to personality and personality disorders and treatment with medication and psychotherapy. He and his colleagues developed the Mood Disorder Questionnaire, the most widely used screening instrument for bipolar disorder. 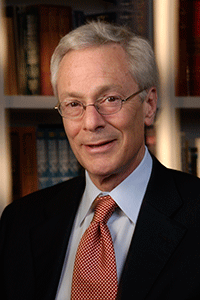 Dr. Hirschfeld chaired the original and revised versions of the American Psychiatric Association’s working group to develop practice guidelines for treatment of patients with bipolar disorder. He was Chief of the Mood, Anxiety and Personality Disorders Research Branch and Clinical Director of the Depression Awareness, Recognition and Treatment (D/ART) Program of the NIMH.